Revelation speaks of seven final plagues that will come upon the earth at the end of this present age. What are these plagues and why will God send them? 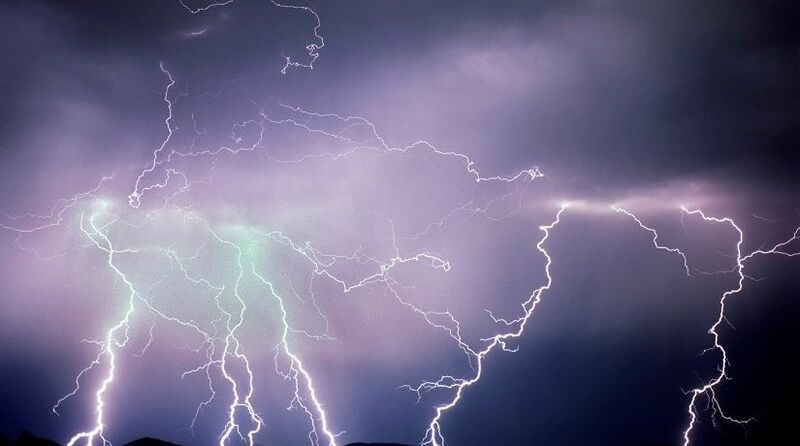 “And there were noises and thunderings and lightnings; and there was a great earthquake, such a mighty and great earthquake as had not occurred since men were on the earth” (Revelation 16:18). In previous articles we noted that seven seals, seven trumpets and seven last plagues outline end-time prophetic events recorded in the book of Revelation that will occur before and at the time of Christ’s return to earth. The first five seals depict consequences for mankind’s sinful behaviors and Satan’s wrath toward the people of God and mankind in general. The sixth seal announces the soon-to-come wrath of God. The seventh seal includes the wrath of God, which will be dispensed via seven trumpets and seven final plagues. These seven plagues complete the wrath of God. As John wrote: “Then I saw another sign in heaven, great and marvelous: seven angels having the seven last plagues, for in them the wrath of God is complete” (Revelation 15:1, emphasis added throughout). We should note that the concept of God’s wrath being “complete,” as noted in this passage, applies to the judgment of humans who will live in the end time just before Christ’s return. It does not mean God cannot or will not punish people for disobedience in the future. During the Millennium, for example, “Whichever of the families of the earth do not come up to Jerusalem to worship the King, the LORD of hosts, on them there will be no rain. If the family of Egypt will not come up and enter in, they shall have no rain; they shall receive the plague with which the LORD strikes the nations who do not come up to keep the Feast of Tabernacles” (Zechariah 14:17-18). Revelation 15:7 describes these seven last plagues as “golden bowls full of the wrath of God” to be poured out upon the earth. Some translations of the Bible, such as the King James Version and Young’s Literal Translation, use the word vial instead of bowl in this passage and in Revelation 16:1. Albert Barnes in his Notes on the Bible states: “The word used here—φιάλη phialē—means properly, ‘a bowl or goblet, having more breadth than depth’ (Robinson, Lexicon). Our word vial, though derived from this, means rather a thin long bottle of glass, used particularly by apothecaries and druggists. The word would be better rendered by ‘bowl’ or ‘goblet,’ and probably the representation here was of such bowls as were used in the temple service. … The allusion seems to be to a drinking cup or goblet filled with poison, and given to persons to drink—an allusion drawn from one of the methods of punishment in ancient times” (comments on Revelation 15:7). Before considering these seven last plagues, it is important for us to note mankind’s response to the seals and trumpets that will precede these last bowls of punishment. In spite of the severity of the pain and suffering that will be inflicted upon earth’s inhabitants by the seals and trumpets, humanity will still refuse to repent of its sins (Revelation 9:20-21). Reviewing what will have previously occurred during the seals and trumpets, we note that, in addition to grievous suffering, many people will lose their lives through the first four seals, which are also called the four horsemen of the apocalypse (Revelation 6:8). Many more will die during the third trumpet plague (Revelation 8:11), and then a third of the remaining population will die through the sixth trumpet (Revelation 9:15, 18). Deceived by Satan the devil through an end-time political and religious power called the “beast,” humanity will continue to defy and blaspheme God even as the seven last plagues are poured out. In spite of these truly apocalyptic horrors, mankind will continue to reject God. They will not worship or obey the Almighty, Eternal Sovereign. Deceived by Satan the devil (Revelation 12:9) through an end-time political and religious power called the “beast,” humanity will continue to defy and blaspheme God even as the seven last plagues are poured out (Revelation 16:9, 11, 21). As the first of the seven last plagues is poured out, we are told that it will come “upon the men who had the mark of the beast and those who worshiped his image” (Revelation 16:2). Note also that the fifth plague repeats that it will be poured out “on the throne of the beast, and his kingdom” (verse 10). First plague: The contents of the first bowl will cause painful sores upon those “who had the mark of the beast and those who worshiped his image” (Revelation 16:2). Second plague: When this bowl is poured out, the sea will become blood and cause all life in it to die (verse 3). Third plague: After the third angel pours out its bowl, the rivers and springs of water will become blood (verse 4). Fourth plague: The fourth bowl will cause the sun to become so hot as “to scorch men with fire” (verse 8). Fifth plague: This punishment will bring darkness, pains and sores (verses 10-11). Sixth plague: The bowl containing this plague will be poured out on the Euphrates River, causing it to dry up and make land travel easier for the armies of “the kings of the earth and of the whole world” to assemble at Armageddon (the area of Megiddo, which is approximately 18 miles or 30 kilometers southeast of the modern city of Haifa). From this location, the assembled armies will then advance toward Jerusalem for a final battle against Jesus Christ (verses 12-16). Seventh plague: This final plague will consist of “noises and thunderings and lightnings” and “such a mighty and great earthquake as had not occurred since men were on the earth” (verse 18). Babylon, a powerful false religion, will fall (verse 19, compare Revelation 18:2) and there will be devastating hail, with hailstones weighing up to a “talent”—approximately 100 pounds (verse 21). There are two interesting historical parallels to the seven last plagues. First, these seven last plagues are typed by some of the punishments God brought upon the nation of Egypt in order to free the ancient Israelites from slavery. In the 10 plagues preceding the Exodus, water was turned to blood (Exodus 7:17), people had painful “sores” (Exodus 9:9), and the Egyptians experienced darkness for three days (Exodus 10:21-23). There are obvious similarities to these punishments in the seven last plagues (note the first, second, third and fifth plagues above). And just as Pharaoh hardened his heart toward God and His plan, so will the people who experience the seven last plagues harden their hearts against God. It is also interesting to note that in Revelation 15, which introduces the seven last plagues, we find God’s faithful people singing “the song of Moses” (verse 3), a song composed by Moses after God had brought 10 plagues upon the Egyptians and delivered Israel (Exodus 15:1-19). Second, the seven last plagues of Revelation 15 and 16 have similarities to the seven trumpets, but with increased intensity. Note that the first four trumpets cause a third of the trees to be burned up, a third of the sea to become blood, a third of the creatures in the sea to die, a third of fresh water to become poisonous and the light of the sun, moon and stars to be diminished by a third (Revelation 8:7-12). The seven last plagues will cause all waters (both in the sea and fresh) to become blood, all life in the sea to die and more darkness (Revelation 16:3, 4, 10). Some people have the mistaken idea that God is harsh and cruel—delighting in making people suffer. But this is most definitely not the reason God will bring these seven last plagues upon mankind. As our loving Father, God always administers punishment to encourage us to turn from sinful conduct to obedience to His holy and beneficial laws so we can be blessed. Conveying this principle to ancient Israel, God told the prophet Ezekiel: “Say to them, ‘As I live,’ says the Lord GOD, ‘I have no pleasure in the death of the wicked, but that the wicked turn from his way and live. Turn, turn from your evil ways! For why should you die, O house of Israel?’” (Ezekiel 33:11). This principle that God explained to ancient Israel is true for all peoples—not just Israelites. God loves everyone (John 3:16) and “desires all men to be saved and to come to the knowledge of the truth” (1 Timothy 2:4). To learn more about God’s expectations and end-time prophecy, we recommend the free downloadable booklets from our Learning Center titled Change Your Life! and The Book of Revelation: The Storm Before the Calm.